Have some time on your hands? 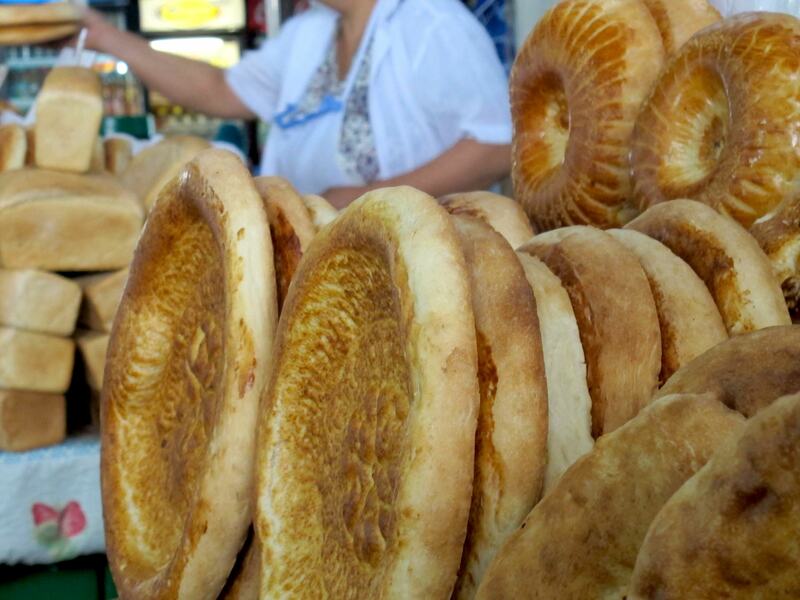 Eat your way through Bishkek. 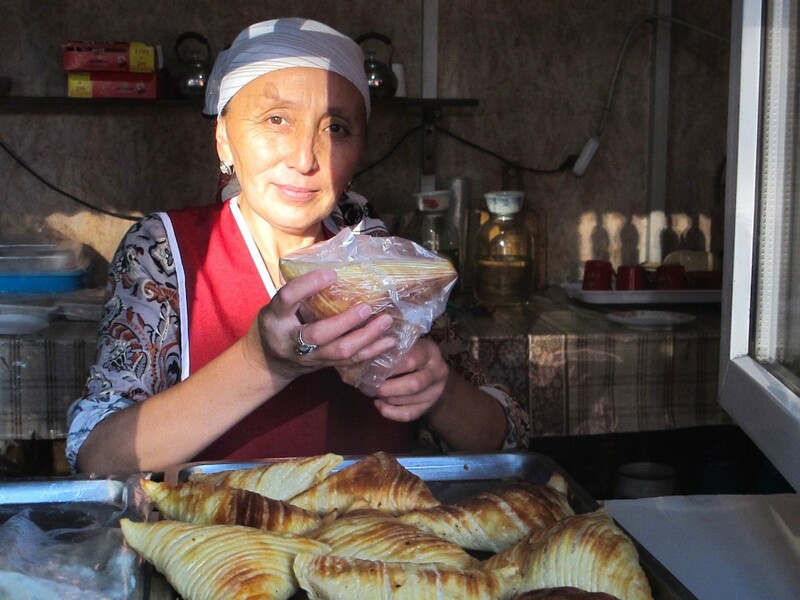 I recently spent six nights in the Kyrgyzstani capital (waiting for my Uzbekistan visa and relaxing), during which I ate and drank my way through the city. Bishkek isn’t quite Hemmingway’s Moveable Feast, and it doesn’t always get high marks from travelers (a Ukrainian I met dismissed it as “like visiting one of our provincial towns”). But I found the mood pleasant, the food on occasion great, and the people absolutely charming. Today I leave Bishkek, so here I offer you 5 eating experiences that made my stay here so enjoyable. 1. Breakfast at Marius. 100 Chuy Avenue. This restaurant was recommended to me for its salads the moment I arrived in town, but I came here every day for breakfast. 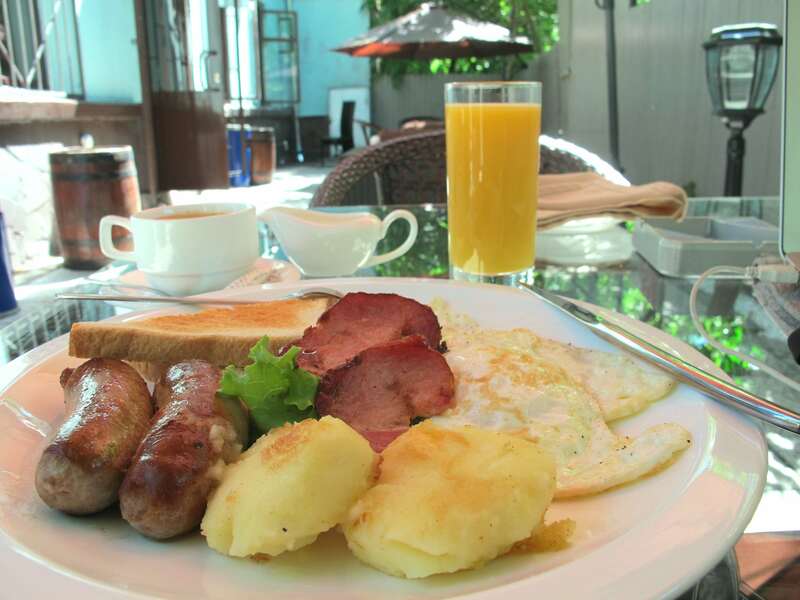 The American breakfast consists of sautéed mashed potatoes, two delicious sausages, two eggs, toast, fresh orange juice, and an espresso drink of your choice. For Bishkek, it’s a bit pricey at around 500 som ($8.50), but absolutely delicious. 2. Coffee at Sierra Coffee KG. 57/1 Manas Avenue. In the afternoon I would enjoy an Americano at Bishkek’s busiest coffeehouse. 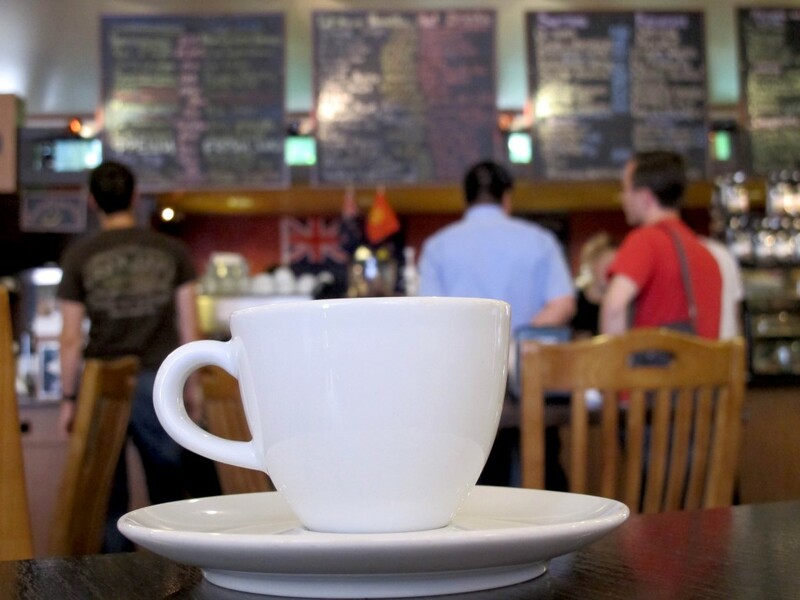 An American expat opened the place in April of 2012, and since then its popularity has surged. Entering Sierra you’d be forgiven for thinking you were in Chicago or Washington D.C., with it’s sleek interior, fast service, and tables of locals and visitors sipping coffee and WIFI. 3. Light Lunch from Osh Bazaar. Toktogul and Beyshenalieva. For lunch I usually had a light lunch of cheese, bread known as nang (like the Hindu word naan), yogurt, a few plums, and a stick of sausage. Osh market is the place to go for this and more, plus it’s a really pleasant stroll. You can also pick up a dozen types of rice and just about anything else you want. The cost for the lunch above–enough for two–is about $5. 4. Somsas near Jibek Jolu and Sovietskaya. 50m north of intersection, east side. Okay, so you don’t have to go to this intersection to get somsas, but I came here because it’s near my hostel and I could try chatting with Mavluda, the charming lady who sold the delicious pastries from a tiny street side window here. 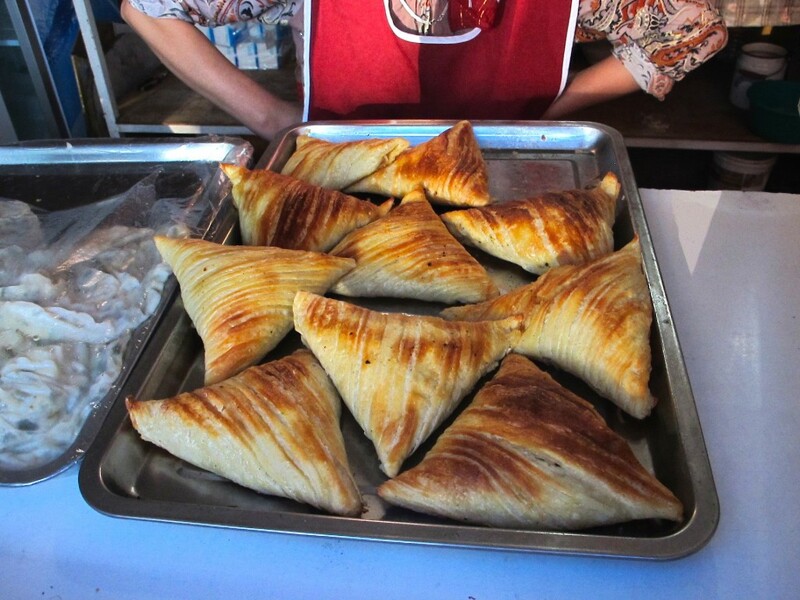 Somsas are a meat-fill pastry that are triangular in shape, crispy on the outside, and make a great snack. You find them across Central Asia, but only Bishkek has Mavluda. 5. Kvartira No. 148. Shopokov St. between Zhumabek and Franz Mikhail. How to describe my dinner experience here? Bowties? Slippers? Strippers? 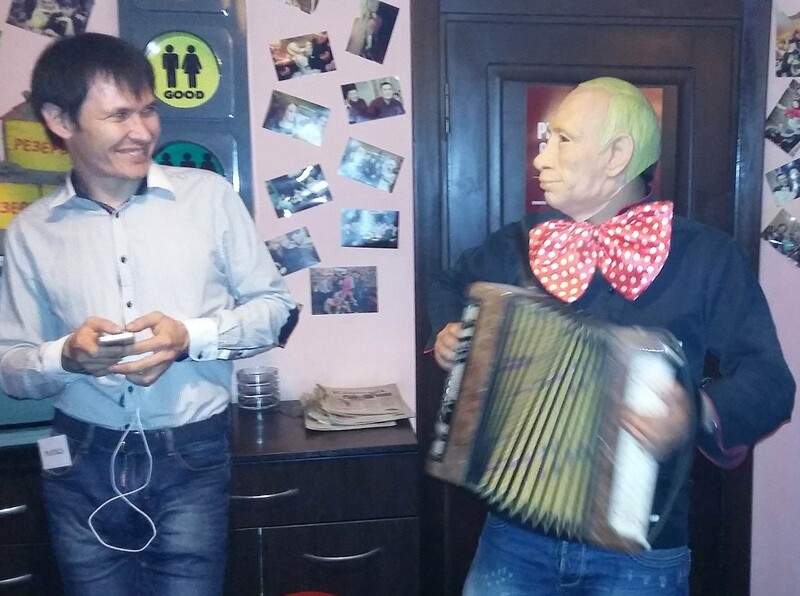 Vladimir Putin? This restaurant-bar, whose name translates to “Apartment 148,” is themed after an old Soviet apartment and decorated with plaid couches. But it also stirs in a trippy mix of earnest staff-performed dance routines, soft core stripping, and really decent food and beer. You have to see it to believe it, and you should.